For four years I worked as a zookeeper at Chicago’s Lincoln Park Zoo. Spending each day up close with wild animals, I got to know them in a personal, intimate way. I built trust with skittish primates, handled deadly rattlesnakes, trimmed an armadillo’s toenails and trained headstrong crocodiles. I’ve had my shoe untied by a vulture. I’ve had bushbaby twins sit on my head. I’ve raced a zebra (he never let me win). And I named the world’s most famous living camel: Alexander Camelton. 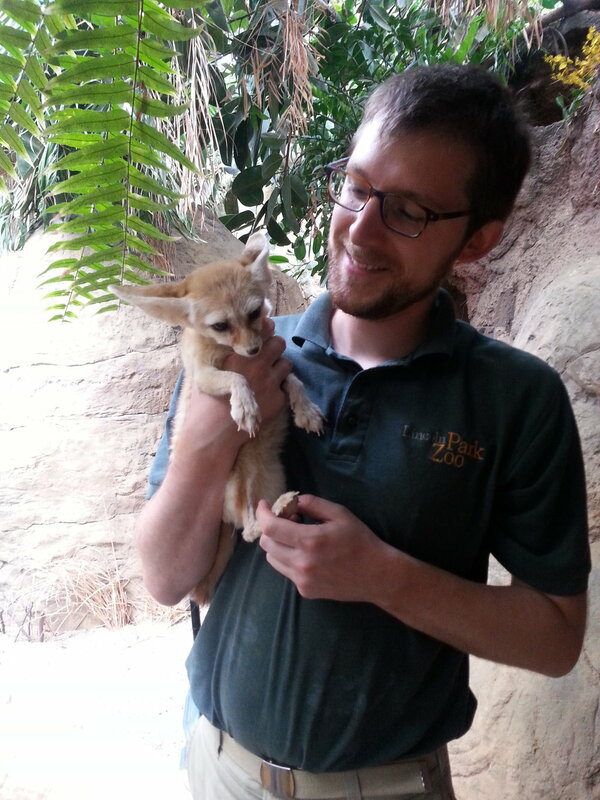 When I left zookeeping, I needed a new way to express and share my love for animals. Perhaps more importantly, I needed a new means to contribute to protecting them through conservation. So I taught myself to paint. In my work, I highlight the personality, power and breathtaking beauty of the living art that surrounds us: art that has been dynamically crafted over millions of years, guided by the omnipotent hand of chance. For questions or commission requests, please contact me via the form below.